Supernova 1997de discovery image, taken 27th-28th August 1997 with a SBig ST-7 CCD camera and 12inch Meade Classic LX200 telescope at the 1997de Queensland Astrofest. Field of view 12 x 8 arc minutes. 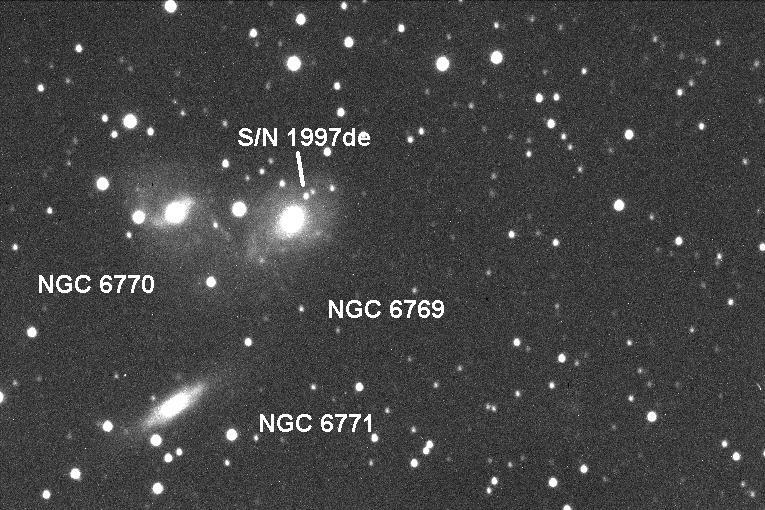 NGC 6769 is a magnitude 11.6 galaxy with dimensions of 2.2 x 1.5 arc minutes. 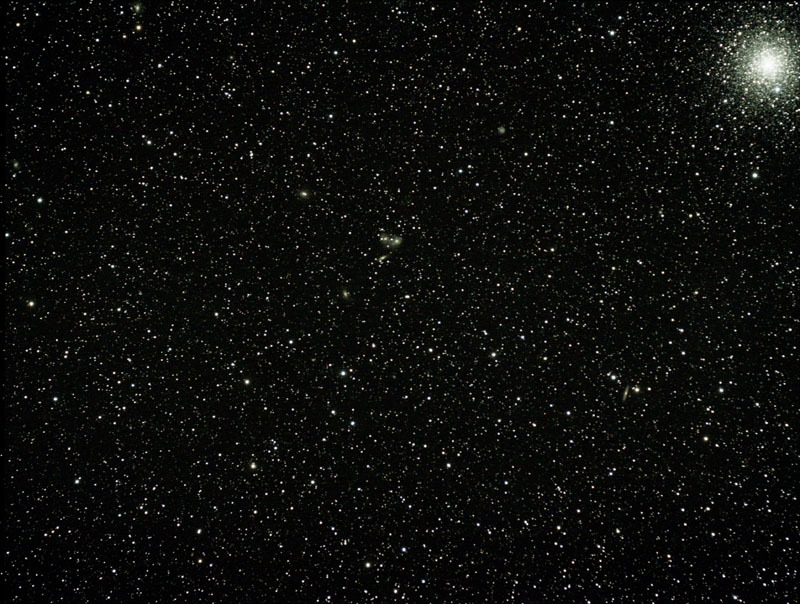 This a wide field view (129 x 97 arc minutes) of the region around NGC 6769 taken with 80mm f6 scope and SBig ST8300C CCD camera in August 2012. The image consits of 4 x 600 second exposures. 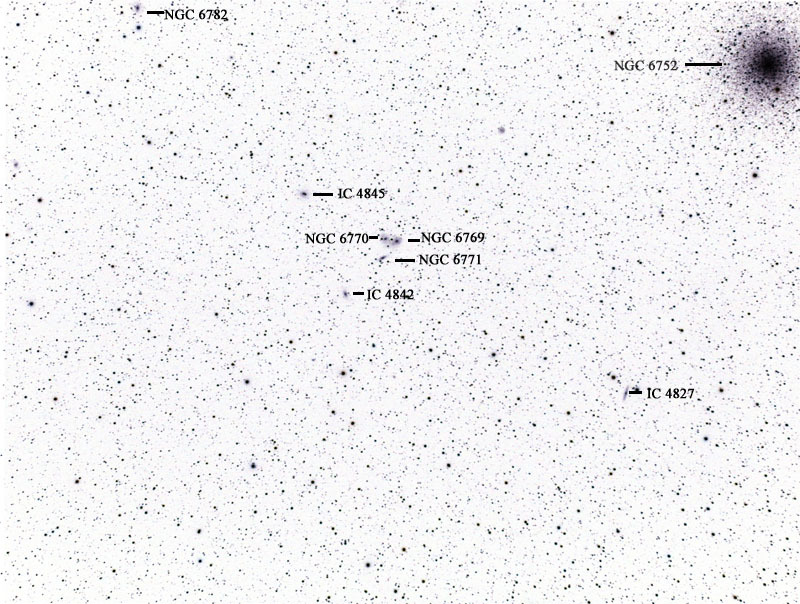 This is negitive image, showing some of the near by objects.